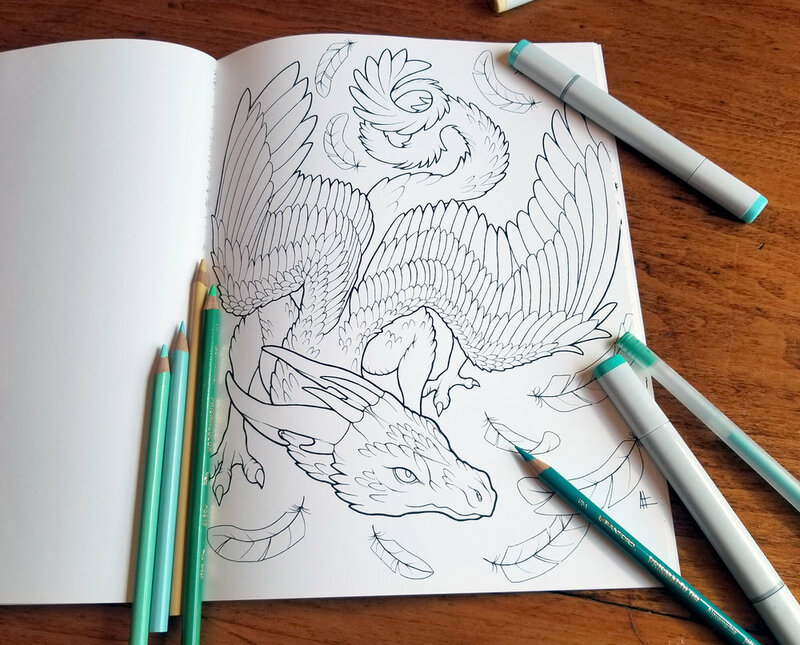 This coloring book features 13 pages of fun and fantastic dragons for you to color in and make your own! Here be dragons ... To color! This fantasy coloring book contains 13 detailed pages of artwork featuring all sorts of dragons, from tiny hatchlings perched on a flower to mountain-sized monsters and everything in between. Each page was hand-drawn and inked before being scanned into the computer, then professionally printed onto thick, sturdy paper that is perfect for markers, colored pencils, and gel pens. The pages are one-sided, so there's no worry of ruining a page with ink bleeding through. The book measures 8.5 x 11 inches, with a glossy cardstock cover.